She doesn't know him, but the symbol she draws on her skin has always been in his nightmares Detective Steven Paul has had the same nightmare for as long as he can remember, a strange symbol figuring prominently into his terror. He decided long ago that the recurring dreams are nothing more than an unfortunate side effect of his often traumatic profession. 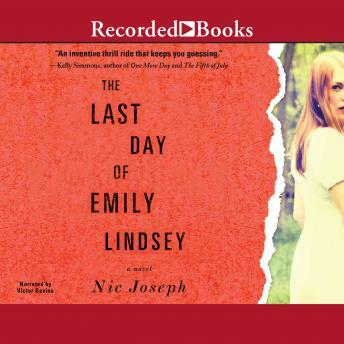 Until, that is, he's assigned to the case of Emily Lindsey, the beautiful, elusive, and controversial blogger found alone, holding a hunting knife and covered in someone else's blood. As Steven questions Emily, she repeatedly scratches out the same odd symbol he sees when he closes his eyes. A thrilling suspense ensues as Steven must get inside Emily's head to solve a mystery without a crime-a mystery that is connected to him in ways he can't even begin to fathom. Author bio: Nic Joseph has been published in a variety of news outlets, including Newsweek, WGNTV.com, and Business 2.0. She lives in Chicago. Joseph is also the author of Boy, 9, Missing.